Use the Gran Alacant car hire price comparison website tool below to quickly find the cheapest car hire for Gran Alacant in Spain in just seconds. The free price comparison search engine below will compare all the current Gran Alacant car hire deals and car rental rates to give you the lowest and cheapest car hire for Gran Alacant. The price comparison tool will compare all the latest Gran Alacant car hire quotes and prices and car rental rates between the major international brand name car hire companies as well as national and local Spanish car hire companies saving you both time and money. It is free to use – just put in your dates for your car hire Gran Alacant and tell us what type and size of car you want to hire – then let the price comparison booking engine do the rest! Before you start searching for cheap car hire Gran Alacant, note that you must be at least 21 years of age and have held a full driver’s license for at least a year. Is Hiring a Car in Gran Alacant Necessary? Gran Alacant is a small sea side resort located on the Southern Costa Blanca which over the years owing to its location and beaches has grown tremendously in size and attracts many international holiday makers annually. Gran Alacant benefits from a Mediterranean climate which guarantees rain free summers and mild winters. Gran Alicante is only 15 km south of Alicante and just 4 km away from Alicante airport of El Altet so its position and location is superb. It is set just slightly inland but the beaches are just a short drive away we recommend trips and days out to the nearby Casas del Cap and Los Arenales del Sol. To get a taxi from Alicante airport to Gran Alacant costs approximately €39. Gran Alacant has some great beaches and a fairly large expat population which offer many businesses and services which make British holidaymakers feel right at home. Gran Alacant is still a fairly small tourist resort but there are a few local car hire companies as well that will only be too happy to assist you in making the most of your holiday and offer great value for money. Is it difficult to rent a car in Gran Alacant? What requirements do I have to meet? Yes of course, all the major car rental companies are represented at the airport. It is very easy to hire a car from the airport. The nearest airports to Gran Alacant are Murcia and Alicante. Will I be able to hire a car from the resort of Gran Alacant? You can rent by the day or by the week. Hiring a car by the week is usually the most economical option, and may sometimes be as low as €67 per week. Yes. Most Gran Alacant car hire companies will give you a 100% refund of your purchase price if you should decide that you don’t need a car rental. Why is renting a car in Gran Alacant a good idea? One can certainly see much more of Gran Alacant and the surrounding area if one has hired a car. Alicante itself is on the doorstep as is Santa Pola with its mile long beaches and here one can also go on a boat trip to Tabarca Island. Going on holiday to Gran Alacant would be a waste without seeing all that Gran Alacant has to offer. With all the entertainment possibilities, a way to get around would be ideal. This is why it would be a great idea to hire a car in Gran Alacant. Then you can be free to enjoy all that Gran Alacant and the Southern Costa Blanca have to offer. The Southern Costa Blanca has some great possibilities for excursions. 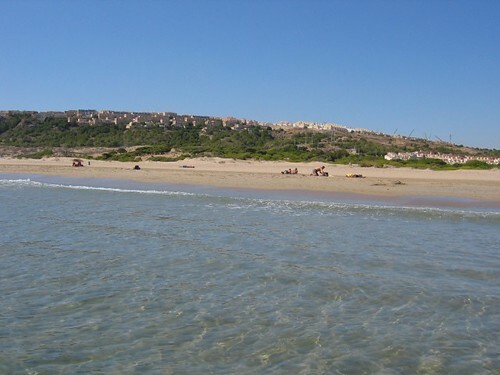 These include other resorts such as Alicante, Santa Pola, Torrevieja, Guardamar de Segura, and Playa Flamenca. Our Gran Alacant map and guide will help you with directions. Aquopolis in Torrevieja and the Rojales water parks make a great change to spending days at the beach and there are many golf courses in the area which include the Campo de Golf El Plantio in Alicante, the la Finca Golf Course in Algorfa and the La Marquesa Golf Course in Ciudad Quesada. There are a number of historic cities within an hour’s drive of Gran Alacant – Murcia, Cartagena, Orihuela, Elche and Alicante.